Successfully transforming an organization where leadership practices traditional command and control, to one that is agile and self-organizing, will bring you numerous benefits, but it’s not as simple as adopting a few scrum ceremonies. As powerful as those ceremonies are, they are only part of the picture. 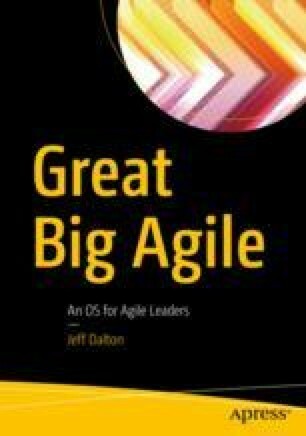 During this chapter, I’ll describe my own journey to an agile leadership state, along with what worked, what didn’t, and what I would do differently next time (sound familiar? ).